Your four-legged family is in good hands at Loving Care Kennels and Grooming in Rutherfordton, NC. Loving Care Kennels and Grooming has lived by the philosophy that pets aren’t ‘like family’. They are family. 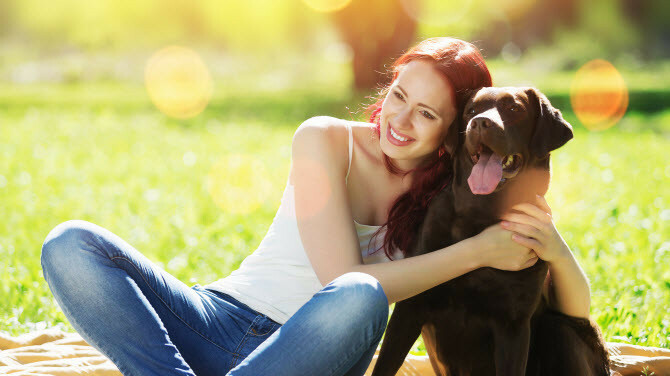 In fact, as pet owners, you might interact with your pets more than you do your parents, your spouse or even your children. That’s why it’s important the pet sitter / pet groomer you choose understands this. It's also one of the reasons why we live on the premises. It's also why there are heated and air-conditioned areas for your pet’s comfort. Your dog has three large exercise areas, as well as some individual runs, where they get plenty of physical activity and playtime with fellow guests. Plus, between the hours of 9 AM to 5 PM, so you can visit and see for yourself why Loving Care Kennels and Grooming is the best choice for you and your pet. In addition, you’re encouraged to join our Facebook page for exclusive specials / discounts for pet services and animal health information. With that said, you may still have some questions, so below you’ll find the answers to the most popular inquiries. If you still have questions though, feel free to contact us for more information. Q: Can we tour your kennel? A: Yes. Visiting hours are from 9 AM to 5 PM. No appointment necessary to say hello. Q: Do you live on-site? A: Yes, we live on the property. Q: I have a special needs animal so is that issue? A: With clear veterinarian's / pharmacist orders, we can administer medication as needed. Q: How close are you to a veterinarian? A: Local vets are less than 8 miles from the kennel in all directions so your pet is never too far from emergency care if needed. Q: Can my dogs stay together? A: Absolutely. Families to stay together. Space permitting, they can also use the same kennel. Q: Do you have boarding requirements? A: Yes. And are designed to protect all of our guests. They include: Current vaccinations (Rabies, Bordetella and DHLPP), Flea and Heartworm preventative, Spayed or Neutered (or not in Season), older than 4 months old and a pet who is dog / people friendly. Q: Do you board cats too? A: Yes, feline friends are also welcome. Q: Are there set pick-up/drop-off times? A: Your times are scheduled during the reservation process, but keep in mind that all pick-up and drop-off times are Monday - Friday 9 AM-5:30 PM; Sat and Sun 4:30 PM to 5:30 PM. All other times are by appointment only. Q: Are there special requirements for overnight stays? A: For extended stays, it helps when your pet’s food is in airtight containers. You'll also be required to bring any special needs medications. Their breakaway collar should include contact information / identification. You're also welcome to bring a favorite washable blanket/towel so they don't get homesick. Since sense of smell is so strong for them, something that smells like home (wash cloth, shirt, sock) can be put in their bedding to comfort them. If you still have questions though, feel free to contact us for more information by phone or using the form on the page. Just be sure to include your contact information.